Rain failed to dampen another successful London GAA LGFA's Ladies Championship day at Greenford on Saturday. 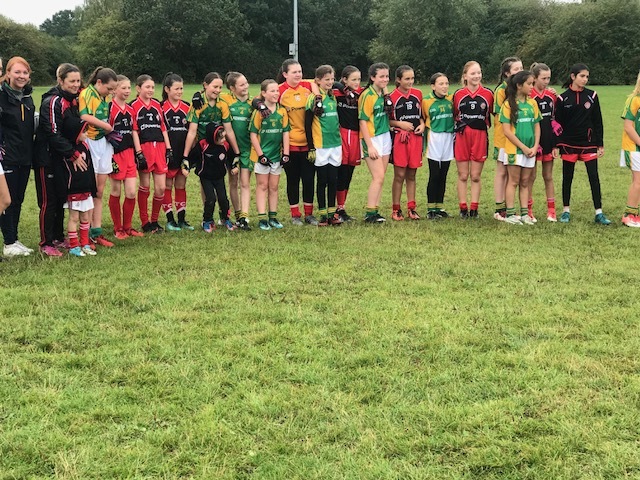 Tara emerged victorious from a extremely competitive Under-12 competition involving themselves, Tir Chonaill Gaels, St Kiernans, North London Shamrocks and Gael Londain, by beating TCG in an entertaining final after the pair finished atop of the round-robin ranking. But TCG gained revenge in the U14 final with a comprehensive victory over Tara after both saw off a St Kiernans/North London Shamrocks combined side. A last-minute penalty saw the Gaels clinch U16 honours over a plucky Parnells line-up while the U18s competition went back to a victorious Tara who saw off a spirited St Clarets outfit with great skill and application on show in the difficult, greasy conditions.